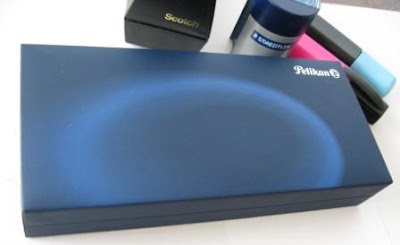 This is the second of my two Souveran reviews, and since they are sort of a series it would be best if you had some familiarity with the first one (Pelikan D400) as this review is more of a comparison than an independent stand-alone review. Overall the D800 is only 7mm (1/4”) longer, but it gives the appearance of being considerably longer because it doesn’t have the narrow push-top button of the D400. This also gives it a much more substantial and impressive look. I mentioned that the D400 didn’t really seem to weigh enough, well the D800 corrects that criticism – it weighs 27g versus 17g for the D400, and it’s a very top-heavy weight as well so you really notice it. This extra size and weight combine to produce a completely different writing experience. Far superior. Call me shallow, but in this case it appears that weight certainly does = value for money and customer satisfaction. 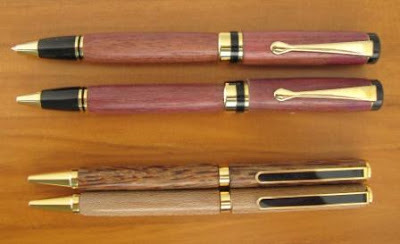 The change to the top of the pencil is a reasonably significant stylistic change, but also mechanistic as well – from push-top ratchet mechanism to twist action ratchet mechanism. 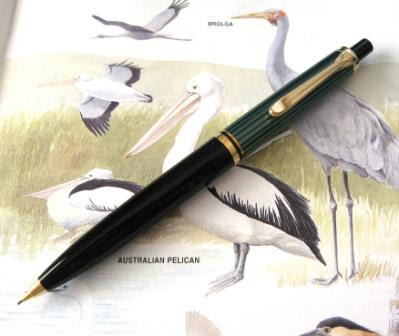 The mechanism is exactly like that of the Pelican Pura I recently reviewed – the whole top half of the body pulls off to reveal the eraser, and then its that complicated unscrewing ‘carry on’ to get to the lead chamber. The pencil insert takes 0.7mm lead. I found this twist-action mechanism a little easier to operate one-handed than the Pura’s because of the more prominent pocket-clip. Speaking of the pocket clip, it’s the same styling but somewhat larger pelican beak than the D400 – 41mm versus 35mm long. Even better looking! As well as looking more substantial the top of the D800 is also somewhat reminiscent of a crown, the sovereigns’ crown I guess. So stylistically I’m much more impressed with the D800 than with the D400. The colour scheme of my D800 is black pinstriping on a blue background. As with the D400 I’m not too impressed by the pinstriping apparently being some sort of sheet wrapped around the barrel. Overall I am much happier with my D800 than with my D400, and whilst I would recommend the D800 I’m not sure that even my lax value for money system feels totally at ease with it. Best Points – Looks and feels substantial. Love that pelican beak. 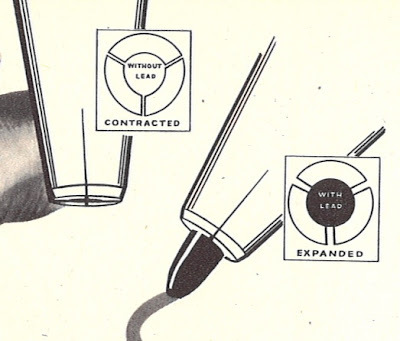 Not So Good Points – Complicated lead refill system, tip not retractable. Dimensions – Length 143mm, diameter 10mm lower body. Balance point about 95mm up from the tip. 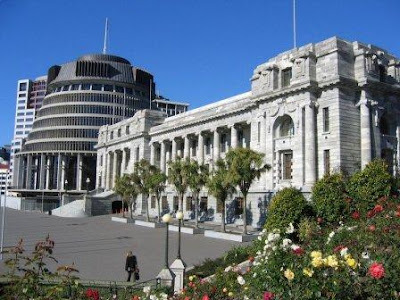 6 February is a national holiday here in New Zealand. 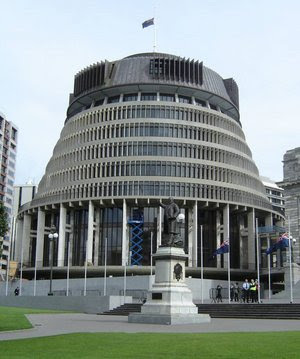 It commemorates the signing of the Treaty of Waitangi between the British Crown and most of the Maori tribes of New Zealand, which was the official beginning of NZ as a British colony. Not surprisingly there were significant differences between the English language and Maori language versions of the treaty, and both sides thought they were agreeing to rather different things. Been disagreeing ever since. But at least we agree there is an agreement to disagree over, and that both sides actually wanted to agree. 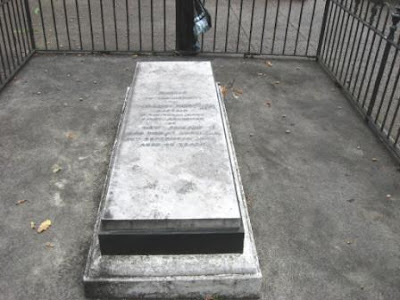 Captain William Hobson (1792 – 1842) was a British naval officer of some repute. He joined the navy when he was nine years old (yes 9), and served in the North Sea and West Indies during the Napoleonic Wars, and then later against the Americans in the War of 1812. In 1815 he was aboard one of the vessels escorting Napoleon to exile on St Helena. He then spent much time chasing and being chased by, capturing and being captured by, pirates and slavers in the West Indies. Eventually his path lead to the East Indies, Australia and finally New Zealand. 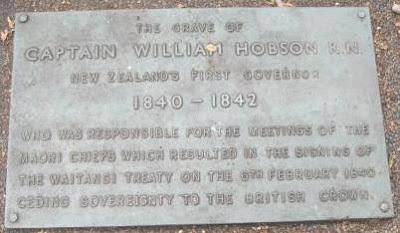 In 1839, when Britain reluctantly decided to establish New Zealand as a crown colony, Hobson was appointed to command it. He was given the title of Lieutenant-Governor, but precious little else - he would basically have to run the colony by persuasion. 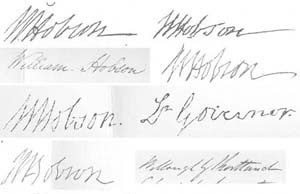 Hobson arrived in NZ on 30 January 1840, and the treaty with the natives was then drafted from scratch and signed 1 week later, on 6 February. There were many drafts of the treaty prepared with the local missionary and residents, but I can’t find any references to their writing, other than that some notes of meetings were specifically taken “in pencil”. These were terribly stressful times for Hobson, and just a few weeks later, on 1 March, he suffered a paralysing stroke, caused by “violent mental excitement” according to his attending naval surgeon. Luckily he made a quick and reasonably good recovery, being able to pencil a letter to his wife on 15 March. Below are his signatures – firstly in ink from the multiple official copies of the treaty, some including his title ‘Lt Governor’. Next is his pencil signature on the letter to his wife after his stroke, just a few weeks after signing the treaties above. He never fully recovered from his stroke and continuing ill-health combined with the stresses of the job – extremely limited resources from the Crown, subversive and obstructive commercial interests, rival French settlements, etc – caused his untimely death by another stroke on 10 September 1942. 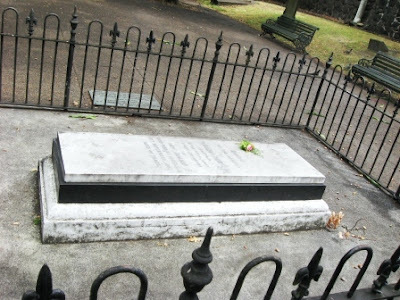 We aren’t very good at commemorating our history here in NZ, particularly our European history, so I thought I would make the effort, and go and visit the Captains final resting place. 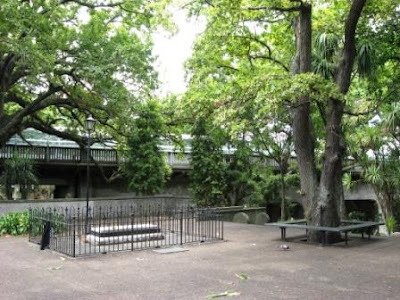 It’s pretty simple and run down, just a rather grimy small low plain raised concrete tomb surrounded by a wrought iron fence in need of a new coat of paint. A small plaque on the ground notes his role as governor and instigator of the treaty. Perhaps not exactly how most countries would treat one of their founding fathers. Seeing he was British, my wife thought he might appreciate some rosemary and a rose from her garden. 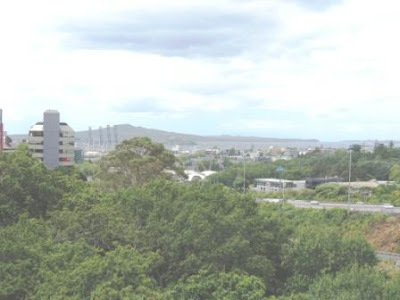 At the time of his burial he would have looked down the valley to the bay named after him and out to the islands in the gulf. 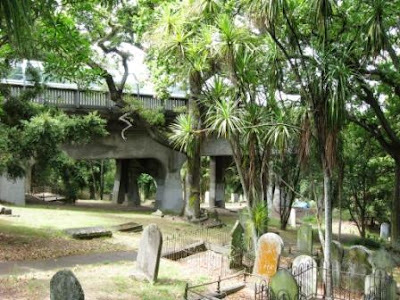 Nowadays though the English oaks and other trees have grown tall and shade the cemetery, and they along with road bridges and inner city buildings block the view from the graveside. It’s actually quite a nice secluded shady little place on a summer Sunday afternoon, the oaks giving it a little touch of Britain. 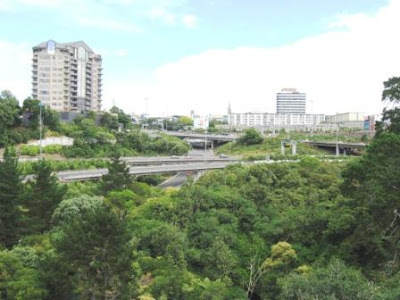 However many strands of “spaghetti” (the numerous ‘on’, ‘off’ and interchange ramps) from the city central motorway junction also weave around the cemetery so it’s not exactly a peaceful place during working hours. I once worked with a mad kilt-wearing Scottish guy whose hobbies included grave-rubbings. (That’s rubbings, not robbing) Now there’s an unusual use for a pencil! I decide against joining that hobby on this particular visit. Whilst trolling around various websites, I did come across this little snippet. 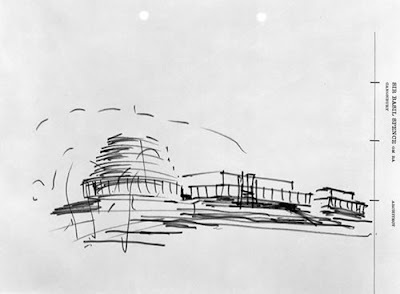 The first pencil impression of our government headquarters in the architect’s notebook. He was a British “outsider” brought in to design the new government parliamentary offices, and was rumored to have whipped up his design on the back of a napkin during dinner with the Prime Minister in 1964. I wrote a while ago asking if you had any suggestions re. my sharp kerry dropping its leads rather than advancing them and your suggestion was to contact Pentel. I went to the Pentel webpage and contacted the customer service department with a vaguely pathetic e-mail explaining my problem. A few days later the Pentel VP of customer service contacted me and told me to send my pencil to the Pentel distributors in my town, and they would be able to help me. So sometime in mid December I put my Sharp Kerry into a padded envelope with copies of my vaguely pathetic e-mail and the e-mail of the Pentel VP of customer service, and a note asking about repair options. I didn't hear anything from them until one day a few weeks ago. Just before the end of my work day a well-groomed, well-dressed (black and tan), presentable young man carrying a padded envelope came into the office looking for me. He introduced himself as Sean from Pentel, and shook my hand happily. He held up the envelope and said "I have your pencil in here." and I happily asked, "Were you able to fix it?" and he said that they weren't. When I asked sadly "What was wrong with it?" he said, "We don't know." Then he said, "We've given you a new pencil." and pulled it out of the envelope. Then he pulled the original pencil from the envelope and gave me that one back too. So to recap - my Sharp Kerry which was given to me broke down after 15 years of use, and the company not only gave me a new Sharp Kerry (msrp less than $20), but they hand delivered it too. How great is that? Pretty damn great I have to say. I'm always going to buy Pentel, as are my friends. OK, well thanks for the story Vanessa. The latest poll has closed. We all know I’m not really a fan of rubber grips. 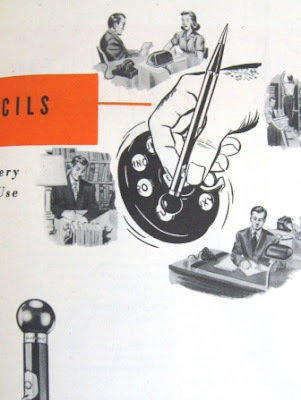 I’m not surprised at the above results from readers of this blog, but from the number of pencils with rubber grips I suspect manufacturers believe, and their sales reflect, that the majority of the public prefer rubber grips. Any pencil can be made “better and more ergonomic” by adding some rubber to it. Well, that seems to be one theory anyway. 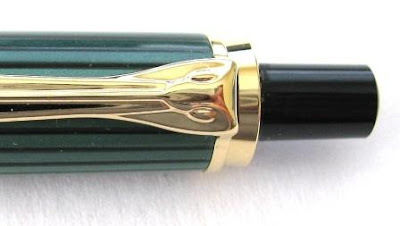 The ‘Souveran’ (‘Sovereign’ in English) series of writing instruments are arguably Pelikans signature line. The many models within the series are primarily differentiated by size, but there are some stylistic and other differences. 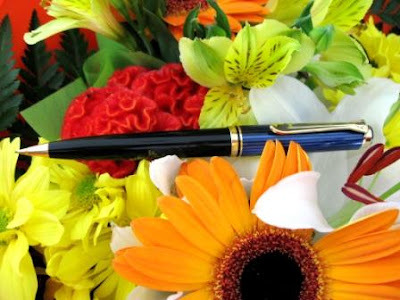 Each member of the series is generally available in multiple writing formats – fountain pen, ballpoint, mechanical pencil, etc. This review is of the D400 0.7mm lead mechanical pencil, one of the smaller to mid-sized instruments in the Souveran range. Unlike many other Souveran pencils, this one is a push-top ratchet mechanism with a push-top button in the traditional ballpoint pen style. 10 clicks of the button will get you 9 almost 10mm of lead. You pull the top button off to reveal a small eraser, and under that the lead refill magazine. Down at the other end of things, the pencil tip is conical and fixed in position so this pencil is for writing and not particularly pocket safe, although the cone isn’t that sharp. There are no special grip enhancements and I’d rate the grip as average considering the body diameter and material. The D400 has a plastic body and is fairly lightweight. Technically the balance point is quite high up making it top heavy but its light so you don’t really notice. It’s very subjective but somehow being lightweight detracts from my overall impression of the D400. Weight = value for money? The weight just doesn’t seem to fit with the price tag and my expectations. The lower half of the body is plain glossy black plastic, but the upper half is green with black stripes. Pinstripes if you will. Now, unlike the Parker Duofold, I don’t think these pinstripes are a moulded in feature of the barrel. The more I look, the more I am convinced that they are printed on a sheet which is then cut to size, wrapped around and affixed to the barrel, and that there is a clear glossy outer coating or overlay on top. This looks fine, except on closer inspection, when you can see some mismatch at the join of the pinstriped sheet. Whilst you can probably tell I’m not overly impressed with the body of the Pelikan, there are couple of redeeming features, namely the trims. 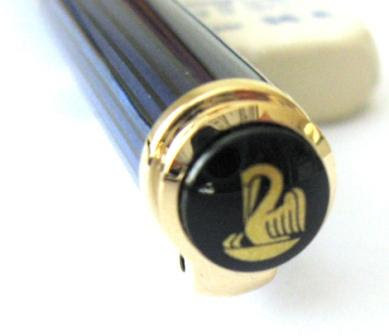 The black push top button has a very nice gold coloured Pelikan logo printed on top. The gold plated metal trims seem very good. 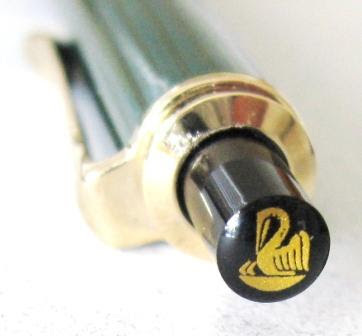 The central gold band between the upper and lower body halves has “Pelikan Souveran Germany” stamped into it. I always wish that manufacturers would put just a little bit more information on such things, like the model number. 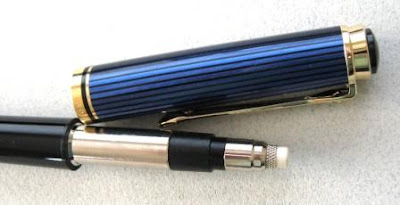 The piece de resistance though is the pocket clip, something that Pelikan are well known for. It is a strong metal clip, and quite functional, styled on the beak of a pelican. At the top there are two eyes and the beak (clip) then narrows and expands back out as it sweeps down to the end. Very nice indeed. Very pelicanish. 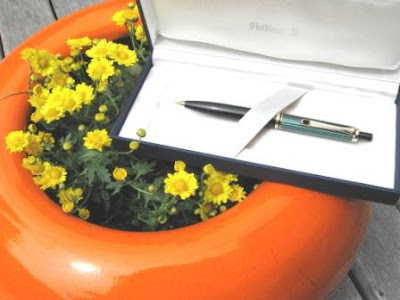 The Pelikan presentation is box is quite nice, I really like the light blue swirl on the top. Now we all know that I’ve bought more than my fair share of ridiculously overpriced luxury pencils and been very happy about it. This time though, something just doesn’t gel, I am left with a sense that I didn’t get value for my money when I bought this pencil. Best Points – Love that pelican beak. Not So Good Points – Something just doesn’t gel – it’s too small or light or something. Dimensions – Length 136mm, diameter 10mm. Balance point about 80mm up from the tip. Here’s a few goodies from the catalogue. Naturally there are plenty of pencils, like this one, No. 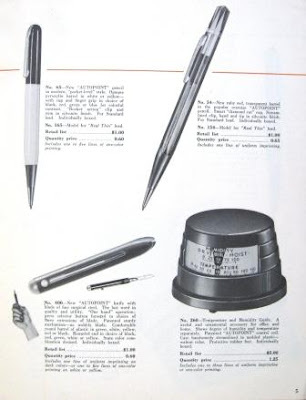 48G –“Outstanding in popularity – the De Luxe, over-size “AUTOPOINT” pencil with the “diamond-cut” cap design. The tip, band, and handsome, streamlined clip are in yellow gold finish. For Standard lead; individually boxed. No. 148G – Model for “Real Thin” lead. Quantity price $0.70 Includes one line of uniform imprinting. Cool. The popular telephone dialer pencil. The rotatable ball top fits the finger holes in telephone dialing rings. Now as well as pencils, there are quite a few other desktop items, like the Autopoint Calendaire – perpetual calendar, precision made thermometer and himidity indicator. The Calendar Letter Opener, including a magnifying blade. 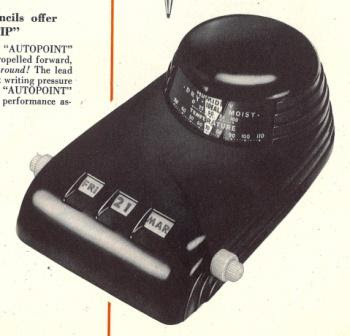 Ages ago I published a posting on my 1948 Autopoint Catalogue and ever since then I have been meaning to look at it in comparison to modern catalogues. What’s the same, what’s different? The media is currently bombarding us with gloomy stuff about a forthcoming US and worldwide recession so maybe now it’s time for Marketing Departments to show their true value and keep their companies going? The economy has been really good for a long-time now, but us rugby fans, we know that its pretty easy for the half-back, the “little general”, the “little terrier” yapping at the feet of his frontline monsters; it’s easy for him to look good when his pack of 400-pound shaved gorillas are rumbling forward, mashing the opposition underfoot, but it’s when things aren’t going your way, that’s when your weaknesses get exposed. 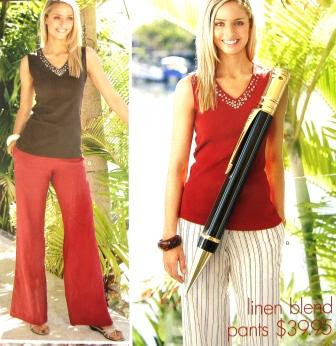 Maybe those times are upon us and good marketing and good catalogues will show their worth. Pentel “Collection” 2007 (UK edition) All of these contemporary catalogues are theoretically products of generally benevolent worldwide economic conditions. 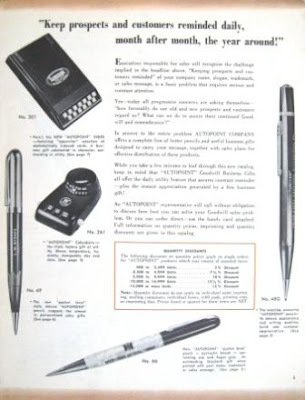 Of course, whilst economic conditions might have been similar, the 1948 Autopoint catalogue was presumably produced by English speaking Americans with a very insular USA-only mindset, whilst presumably the modern Staedtler and Faber-Castell catalogues were produced by “English as a Second Language” Germans with a very international export mindset, and the modern Pentel catalogue by…? Well, first impressions, size, paper, colour and so on. You will have to forgive my lack of proper printing and paper knowledge and terminology. The modern catalogues are all full colour print on glossy white paperstock with a heavier weight cover, versus the old Autopoint which is what I think is called 1-colour print – that’s black and white plus one colour (orange) in various shades on slightly beige (unbleached?) matt paper, the cover being a similar weight to the pages. Obviously the relative cost of colour printing and paper has decreased markedly over the decades. All the artwork in the modern catalogues is photographic, whereas I’m not sure about Autopoint – I think it’s either drawn or the drawings traced from photographs - surely another change in the cost structure of the printing industry. All the catalogues are A4 paper size, (although Autopoints is slightly undersize) except the Faber-Castell “Corporate Gift Catalogue” which is A5 size. Autopoint has 16 numbered pages, the modern catalogues have from 33 to 118 pages, most being around the 60 page mark. Autopoint weighs 67grams, the small Faber-Castell “Corporate Gift Catalogue” weighs 90grams and then the others range from 203 up to 537 grams. Now, Autopoint had a much smaller product range than their modern counterparts, but I think this all again points to declining relative printing costs, and also transportation costs. 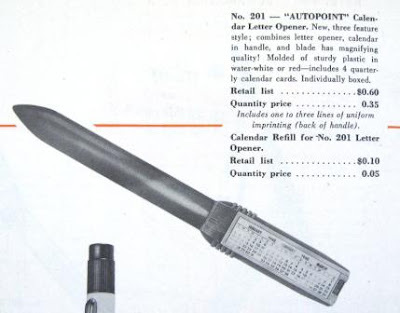 I’m sure Autopoint would have been conscious of postal weight limits for their catalogues but I don’t think today’s designers take too much notice of that aspect. The catalogue just ends up weighing what it weighs from paper selection, page count, printing budget, etc. Around here Faber-Castell pay overweight surcharge every time they post out their 203g catalogue, because the A4 letter envelope weight limit is 200g. 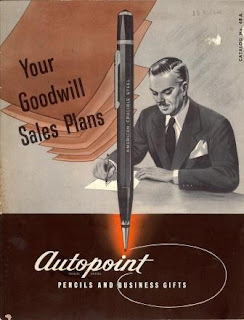 The front cover of the Autopoint catalogue is boldy emblazoned with “Your Goodwill Sales Plans”. Open it up and the whole inside front cover continues this theme, being headed “How prominent firms increase sales – build goodwill with ‘Autopoint’ Pencils and Business Gifts” and it then continues with bullet points clarifying how to use your business gifts, e.g. “Sent in advance of salesmen’s calls – to assure better interviews” and “Mailed by companies after sales calls – in appreciation of interviews and orders”. The very next page continues on, headed, “Keep prospects and customers reminded daily, month after month, the year around!” Beneath it the text continues, “Executives responsible for sales will recognise the challenge implied in the headline above. ‘Keeping prospects and customers reminded’ of your company name, slogan, trademark or sales message, is a basic problem that requires serious and constant attention. The existence of Faber-Castells “Corporate Gift Catalogue” shows that some 60 years on, the themes of the Autopoint catalogue are still valid. 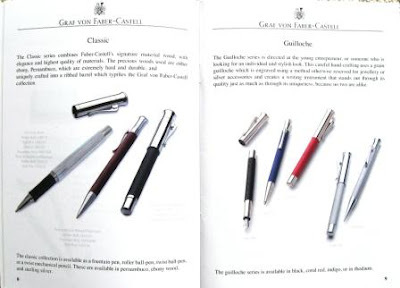 Their rationale page for the catalogue includes, “Giving a Faber-Castell gift is an art of communication that does not only send a message of appreciation, partnership, or loyalty, …personal engraving or a mass branding for advertising. 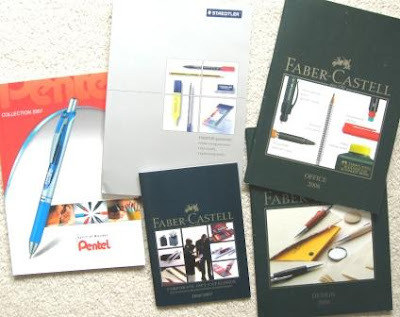 The great advantage of Faber-Castell publicity items is their variety and innovation. For example at a trade fair, corporate function or open day you can give away…it will leave the recipient with a remaining memory.” It appears that everyone's singing from the same songbook. The other contemporary catalogues all stress their commitment to quality, environmental awareness, and how their products will make your daily office chores more simple, efficient and enjoyable - quite a different emphasis to Autopoint, who fail to even mention their environmental credentials. These contemporary catalogues are aimed at a reader who is going to use the product, not give it away. Overall then, time has definitely marched on from Autopoints day. Printing and graphic design have advanced enormously. Language has changed, but I’m not sure that’s advancement, it just change. But the basic fundamentals of catalogues are still the same, show your products and convince them to buy your stuff. OK, so here's the thing, I've got this mechanical pencil which is distributed by a Malaysian company, and without going into details, suffice to say I want some more, and my original source has dried up. So, I'm looking for help, i.e. someone in Malaysia (or Singapore I suppose) who might want to do a pencil swap or come to some other arrangement to help me out. So, any friendly readers out there from Malaysia? If so, I'd really appreciate you leaving a comment and contact details or dropping me a line via the email address up in the blog header. I bought them for the pencil, as I don’t have any turned wooden mechanical pencils. The pencil is a decent size, being 143mm long and 12mm diameter at the lower body, and at 45grams it's certainly far heavier than your average pencil. It’s a screw action feed, you wind the top half of the body around to propel or repel the lead. New leads are fed in through the tip. You pull the top half of the body off to reveal a small eraser and the lead storage chamber. 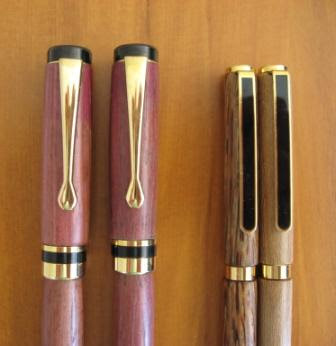 The wood is nice and smoothly finished, the black and gold metal trims look nice, although on close inspection there are some indications that they are not exactly “superior quality”, but overall I’m glad to have this pencil and matching ballpoint to help fill a gap in the collection. Photo - MP on left (non-retractable tip) and BP on right. You will have noticed the wording Special Edition in the header. A Special Edition or SE is a special addition to a range and is different from the normal production of that model. Production of a Special Edition is limited to a certain time period, in this case the year 2004, whereas a Limited Edition or LE is limited to a specified production quantity. Right then, onto the pencil itself. Just look at her, she’s a thing of beauty – the styling just reeks of class; classical timeless class. The top cap is reminiscent of ancient Greek or Roman columns, the pinstripes of high fashion, the well-known classical Parker arrow pocket-clip, the rich gold colour of the fittings and trims, phew, she’s pretty much got it all. Parker certainly has not skimped on the packaging side of this item. When the courier knocks on your door and a few minutes later you open up the shipping carton, here’s what you get inside. A heavy white protective sleeve surrounds a black cardboard box. 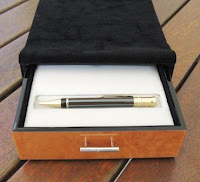 Push the box out of the sleeve to reveal that the box is embossed in pinstripe style and has “Parker”, the company logo and "Pinstripe Duofold" embossed into the black cardboard. When you take the lid off the black box, you are confronted by a layer of thick black velvet material. You can fold down the front side of the black box and lift up the front flap of the velvet cover to reveal a polished wooden drawer. 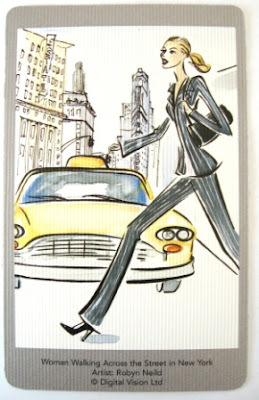 Pull the drawer out and you have a pinstripe handkerchief with Parker logo. Underneath the handkerchief is your Duofold, sitting there on a light grey leather-look cushioned tray. Very nice. Laid out on the floor, left to right – white card protective sleeve, black pinstripe box, black velvet drawer cover, wooden drawers (open to show pinstripe handkerchief and Duofold). You can lift up the grey tray to reveal a storage compartment underneath with depressions for ink cartridges, etc. Also underneath is a small set of cards - your instructions, guarantee, and some whimsical pinstripe cards like “Custom (Pinstriped) Tailored Clothes for the Custom Tailored Man, 1943” as shown on the left. For those who go the whole hog and also buy the fountain pen or rollerball, or have other Duofolds, you can turn the light grey cushioned tray over and that side has four pen depressions instead of just one. This is all great stuff. Let’s face it, you’ve paid a lot for your Duofold and Parker are really coming to the party, giving you a real experience, a complete package, something special. I take my hat off and salute Parker, but why couldn’t you toss in a free tube of Parker leads underneath there in the storage compartment? 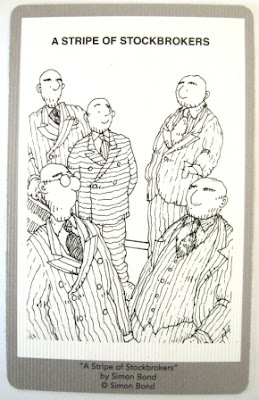 My book on the Parker Duofold has 2 pages on the 2004 Pinstripe Special Edition. It doesn’t actually mention the pencil, just the fountain pen. Of particular interest to me though was that 1 of these 2 pages was a pictorial explanation of how the pinstripes get on the pencil. The out-of-date non-practicing engineer in me was rather pleased to find that it was basically as I had imagined. A quick sketch to help illustrate. 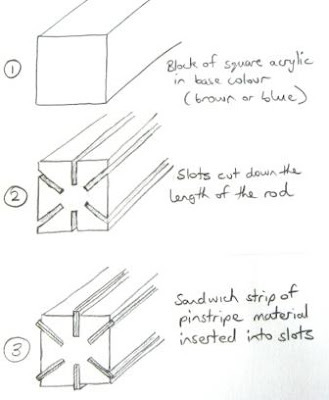 You start out with a long square rod of acrylic (Perspex) plastic in the base colour – navy or brown in our case. Then 6 deep grooves or slots are cut down the length of the rod. Then long thin strips of acrylic in the pinstripe colours are inserted into the slots. 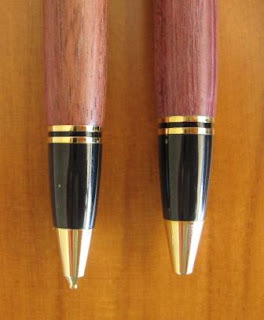 The “pinstriped rods” are then subjected to the diffusion bonding process to join the pinstripe material to the base rod. Diffusion bonding doesn’t use any glue or solvent or whatever. Basically under the right conditions of heat, pressure and time the molecules on the surface of each layer will bond with those of the other layer, basically ‘cold-welding’ together into one single piece. Sounds fairly easy but it’s pretty serious technical stuff to get it right. The square rods are then machined down into round rods, and their centres drilled out and that’s pretty much it, you’ve got yourself a pen body. Like many Parker bodies, these pinstripe bodies are made by Carville Ltd in Britain, who are big players in technical plastics, diffusion bonding, etc. Some of the plastic fluid manifolds they make for medical or laboratory equipment cost thousands, even tens of thousands of dollars each, so just like muck-metal versus Grade 440 stainless steel, when it comes to plastic, there’s the cheap stuff and then there’s the real stuff. In the hand, the acrylic body provides a reasonable amount of grip. There aren’t any grip enhancements and it is a nice shiny smooth plastic surface, but with that in mind the grip is surprisingly good. The long tapering tip means that I end up holding the pencil quite high up - about 45mm (1 ¾ in) up from the lead which is definitely higher up than normal. But I’ll be honest and say that for the review week that I used the Duofold this higher than normal grip seemed to add to the sense of experience, of something special and classic. Maybe a year down the track I might change my opinion :-) The weight and balance are basically as expected, i.e. medium weight and a neutral balance. Actually, technically the balance point is relatively top heavy, but the higher grip position seems to counteract that. The lead sleeve is a 2mm round tube so you could possibly use this Duofold as part of your attempt to be the best dressed draughtsperson in town. The sleeve is retractable for pocket safety. It would obviously be a nonsense if your Duofold pinstripe could not be safely stowed in your pinstripe suit. Speaking of which, the pocket clip is Parkers trademark arrow design, not spring loaded and thus a very strong solid affair. Like all the other metal trims, it looks great in deep lustrous gold. The lead advance mechanism is twist action ratchet. You twist the metal end cap to activate the lead advance. 10 activations will get you 9mm of lead. 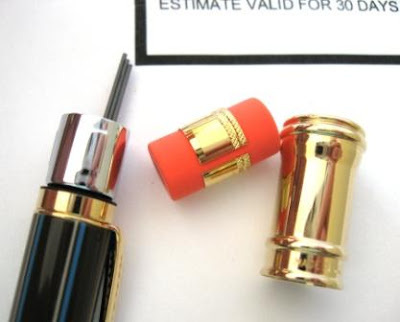 The lead diameter is 0.7mm, and there are no other choices. I must say that this is not a particularly convenient twist action mechanism. Most twist actions use the whole top half of the body as the twister, but with only the top cap twisting in this case, it made it just that little bit less convenient and harder to use one-handed. There is quite a bit of cushioning in the lead mechanism. I could easily feel the tip retract when I slammed down a particularly definite full stop (I believe that’s a ‘period’ for American readers). The top cap is a feature of the Duofold pencil, its something quite stylistically different to ‘matching’ Duofold fountain pens. The deep gold looks great and as I mentioned up above, it reminds me of architectural columns. (Tuscan, Doric?) The stylised Duofold name is embossed into the end of the cap. Around the circumference is the wording “Parker”, the letter “A” and “Made in UK” - possibly Carville assemble the whole pencil under contract to Parker? You pull the top cap off to reveal a decent sized eraser and access the lead storage chamber. Just look at that – even the eraser looks fantastic! I once read on a Rolex discussion board something to the effect of, “Now that you’ve just bought your first Rolex you are consumed by doubt, by questions like, ‘Am I mad, is it as good as I think it is, and is it really worth what I paid for it?’ The answers are, in order, yes, probably, and no.” I think that equally applies to my Parker Duofold, and kind of weakens my feelings about not ‘wasting’ money on a Mont Blanc. My friends, seriously, if you are ever in an economic position to buy a Duofold, then do it, and just be happy about it. Celebrate the history and the madness. Best Points – The looks. Not So Good Points – The twist action isn’t the most convenient. Price Range – Way up there in the stratosphere. Dimensions – Length 135mm, diameter 11mm at main body. Balance point about 75mm up from the tip. 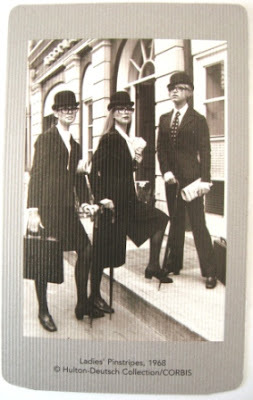 Yes, I did oversee the launch of a new pinstripe suit range!! !